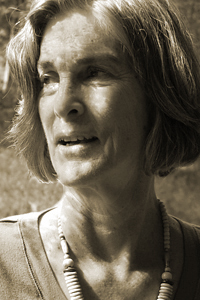 Margaret Gibson is the author of ten books of poetry, all from Louisiana State University Press, including Second Nature (2010); One Body (2007), which won the 2008 Connecticut Book Award for Poetry; The Vigil (1993), which was a finalist for the 1993 National Book Award; Memories of the Future: The Daybooks of Tina Modotti (1986), which won the Melville Cane Award; and Long Walks in the Afternoon (1982), which was the 1982 Lamont Poetry Selection. A new collection of poetry, Broken Cup, is forthcoming. Gibson is professor emerita at the University of Connecticut.